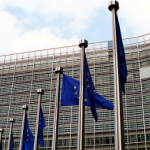 The European Commission’s Waste-to-Energy communication meets criticism. The signatories to this document would hereby like to share their thoughts and proposals with you on the European Commission’s communication on waste to energy technologies and their role in an integrated waste management system which aims to achieve limited disposal and maximum prevention, reuse, recycling and recovery. We will also be making the links with security of energy supply and the role of waste to energy in the Energy Union package. We regret that the Commission’s communication is unclear and misleading in many instances, and that it does not accomplish the intended task of linking energy produced from waste and the goals of the Energy Union. It is important to keep in mind the practical interpretation and thereby implementation of EU legislation and guidance at national, regional and local levels. Each individual piece of legislation is part of the larger picture and must fit together coherently. In the case of waste management and energy supply, all guidance whether binding or not must take great care to allow for the measures needed both upstream and downstream to empower quality recycling, energy recovery of the nonrecyclablewastes and minimisation of final disposal. The Commission Communication presents anaerobic digestion as though it is an alternative to incineration with energy recovery. This is a dangerous generalisation as the choice of techniques and technologies depends on local conditions and the type of waste to be treated. Information should be available to all decision-makers on all available techniques and technologies in order that they can take informed decisions on the investments that they will make to treat their waste flows in conjunction with their need for the output of thosetechnologies and thereby their overall cost impact. In parts of the Commission’s Communication it is easy to misunderstand that Europe has overcapacity for incineration with energy recovery from waste. However, in other parts, such as under point 3, the communication addresses countries with ‘low or non-existent dedicated incineration capacity and high reliance on landfill’ and countries with ‘high dedicated incineration capacity’. The first issue that we have with this, as operators, municipalities and stakeholders, is that it addresses only 5-10% of the waste. Only municipal waste. The Communication took data for municipal waste incinerated and matched that with current capacity. As existing plants treat both municipal and non-municipal waste, any data on available capacity calculated on this basis will be incorrect. As a Communication intended to address the future need for waste to energy in a European context, this is ignoring the state of play today in terms of the amount of waste treated in incineration with energy recovery plants. Until such time as eco-design advances reduce the quantities of non-recyclable waste, sufficient treatment methods will be needed to avoid landfilling. Given that eco-design directives for materials are only in the infancy of their discussion phase, reliable treatment methods including incineration with energy recovery will be needed for the foreseeable future. This applies to mixed wastes collected at source, rejects from recycling processes, materials which degrade after being recycled several times and wastes which cannot be recycled for other reasons. The cosignatories welcome point 3 of the paper which outlines the needs and obligations of Member States with high landfilling to move away from landfill by promoting separate collection and recycling. as part of their long-term planning. Given that the landfill Directive revision is moving towards a reduction target, a decision to use existing waste to energy capacity to its full potential and to invest further where more recycling will not reduce landfilling, would be wise and effective in enabling the implementation of that target. Given also the rate at which countries the world over are closing coal-fired power plants in order to reduce CO2 emissions and investing in renewable energy sources, as part of their energy mix, it would also be wise for them to invest in technologies which provide a reliable source of clean heat and power while simultaneously treating non-recyclable waste. New, emerging and other thermal technologies for waste to energy other than incineration can be used only for specific waste streams as they rely on a specific calorific value and homogenous composition of the waste (e.g. substances of concern embedded in some waste streams). To promote their use for mixed waste would be to court ruin and misuse of funds as those technologies are not built for that purpose and will not function. 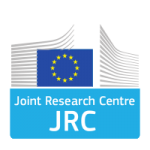 The signatories hereof recommend that the scientific results of the technical waste to energy study carried out by the Joint Research Centre are taken into account in future policy decisions as it studies the energy potential of all available technologies and the plants currently functioning; it also accounts for municipal waste as well as non-municipal waste treated. CEWEP is the umbrella association of the owners and operators of European Waste-to-Energy Plants. CEEP represents employers and enterprises providing services of general interest since 1961.